China has massively over-invested in its industrial infrastructure in the last decade, as negative real interest rates have fueled extreme mal-investment in some industries. Steel, shipbuilding, aluminum, solar panels and wind turbines are some of the industries where companies globally have become sick. China created massive capacities in these industries due to low rates and huge support in the form of capital/ land provided by the provincial and central governments. Even the biggest Chinese companies in these industries are dying as they have unsustainable debt loads and global prices have fallen below costs. Global demand has become anemic which is further leading to losses amongst these companies. However, the Chinese government and banks are not letting these dead companies rest in peace but are keeping them alive as zombies. This is putting pressure on even the healthier, more competitive companies and causing a global backlash against China. Read LDK and Sunpower would have been in Chapter 11 without China and Total Support. LDK Solar (LDK) and Suntech(STP) are under deep distress. Both the companies keep going and coming out of pennydom, as the investors still hope that the Chinese government can rescue these bankrupt companies. Europe and USA have already imposed anti dumping duties on Chinese imports and India is set to follow soon. All Chinese solar companies are losing money hand over fist as prices remain below costs. Read on GWI China Solar Booming. Top wind turbines companies have seen their margins evaporate as demand has saturated but hundreds of wind turbine makers have created excess capacity. Sinovel which is the biggest wind turbine company has seen top management change twice and the company is currently being sued by American Superconductor (AMSC) for corporate espionage. Rongsheng Heavy Industries is asking the government for help after firing 8000 workers. The global shipbuilding industry has been mired in a massive glut, thanks to the 1600 Chinese shipyards. Many of these do not have a single order and it is expected that 2/3rd will go bust in the next 5 years. China should allow these shipbuilding companies to go bust as it cannot support these loss making giants for too long. Steel prices have crashed in the last year and commodity prices have fallen as Chinese demand has gone down. However 600 million tons of Chinese annual capacity still remains which has put inordinate pressure on global steel prices. Many of these steel companies are now turning towards totally unrelated areas such as producing pork. The Chinese investment and growth will have to inevitably come down as the credit bubble is starting to burst in slow motion. Many of the companies in these sectors will have to shut down. The Chinese government needs to accelerate the process rather than extend the agony for the entire industrial segment. 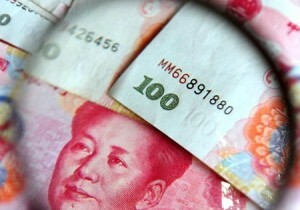 Also read on GWI Seven Reasons that China’s Economy might be slowing down.